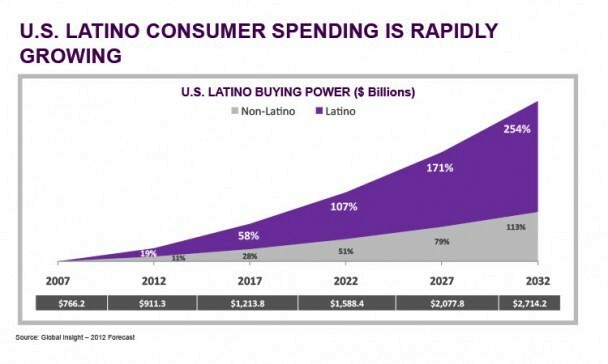 U.S Hispanic buying power continues to grown dynamically as the chart above shows. From 2007, Hispanic buyer power has grown from more than $750 billion dollars annually, to $1.2 trillion in 2017 and is expected to reach $2.7 trillion by 2032. This is almost a 400% increase over 25 years and significantly greater than the non-Hispanic growth rate in the U.S. The business world is targeting this explosive market to reach the Spanish speaking consumer. Using Premium Spanish Language Domains is a powerful tool in this market strategy. Online, U.S. Hispanics are also the fastest growing segment, demonstrating the highest growth rates in this decade, 7.2%. Statistics show that 1 in 3 Hispanics are likely to take action after viewing an online banner ad. 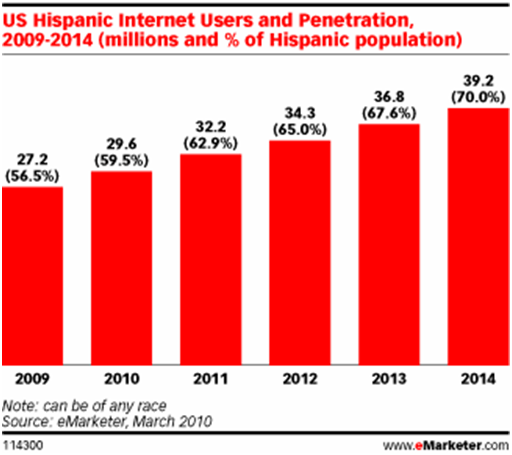 Hispanics are approximately 2x as receptive to online ads as non-Hispanic audiences. U.S. Hispanics are leading the way for population growth, Internet growth, online video growth, smartphone and tablet penetration and buying power! There has been a dramatic increase in numbers of the Spanish speaking community in the U.S. over the last 45 years. In 1990 Hispanics made up only 9% of the U.S. population. 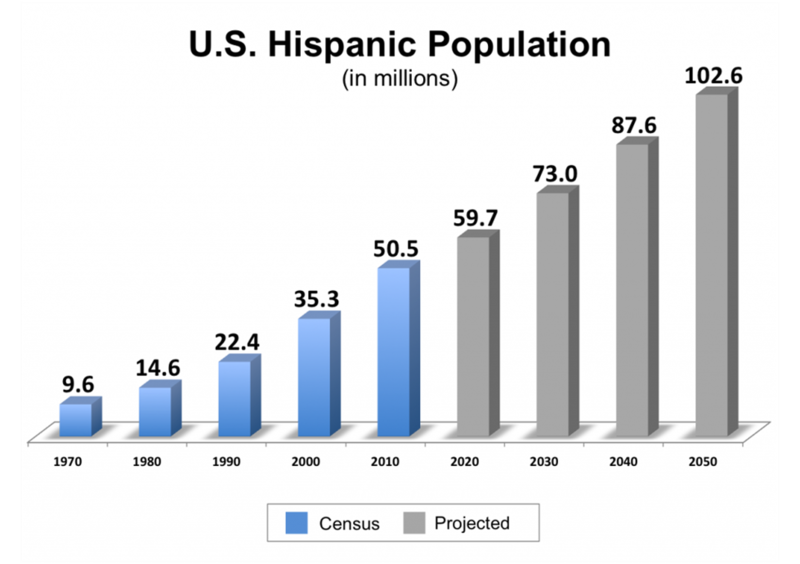 By 2020 Hispanics will make up 21% of the population. Studies show this trend continuing indefinitely growing to over 100 million in total population by 2050 according to the U.S. Census Bureau as seen in the chart to the left. Premium Spanish Language Domains are descriptive, intuitive and memorable. They often convey prestige and credibility by their nature of specifically defining products, services or industries. When creating new websites especially Bilingual Websites or Spanish Language Websites, premium Spanish Language Domains are a powerful way to add pull for the Spanish speaker. Because native Spanish speakers think in Spanish, he/she is more likely to remember your website and refer other Spanish speakers to it if it has a Premium Spanish Language Domain name. In addition, Premium Spanish Language Domains can be used in compelling online and offline marketing campaigns where a descriptive, intuitive and memorable Spanish Language Domain can be essential to the success of these campaigns. To a Spanish speaker Spanish Language Domain names are logical and resonate. They simply make sense!